David Croak's time at Lamar University included an accolade. In 1990, he won the school's Harold Kincaid Award, given to the club's most outstanding pitcher. He was 4-6, with a 3.20 ERA, according to the school's media guide. Croak did well enough at Lamar to turn pro. His pro career was brief, about as brief as it could be. He's recorded as making only a single appearance. 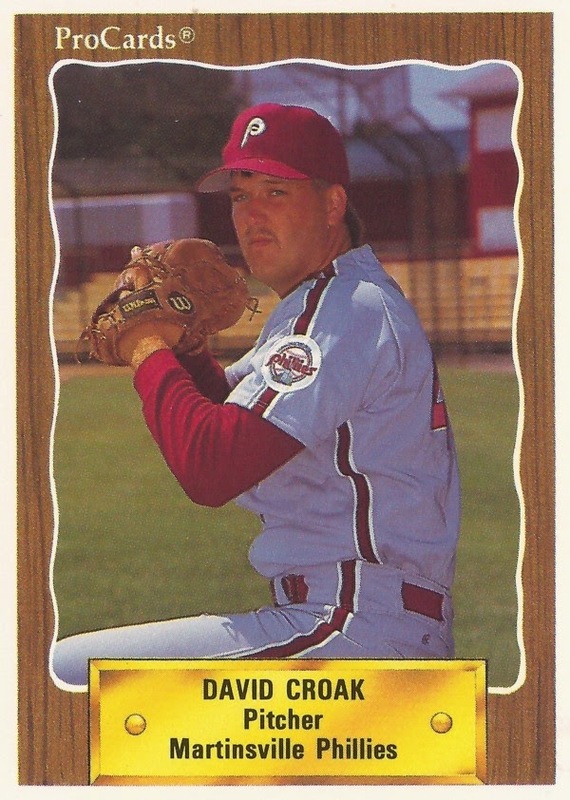 Croak's brief career began and ended in 1990, signed by the Phillies as an undrafted free agent out of Lamar University in Texas. Croak remains in the record book at Lamar, though not a record generally wanted. In 1989, he gave up 54 walks. It's a number that's tied for fifth all-time at the school. His 1990 season included four complete games, the most on his team. His 3.20 ERA was also best on the team. As a pro, Croak was assigned to Martinsville in the rookie Appalachian League. His single appearance took the form of a start. Croak pitched three innings in that game, giving up four earned runs. Among those earned runs was a home run. He walked three and struck out three and he took the loss. It was his only professional outing.